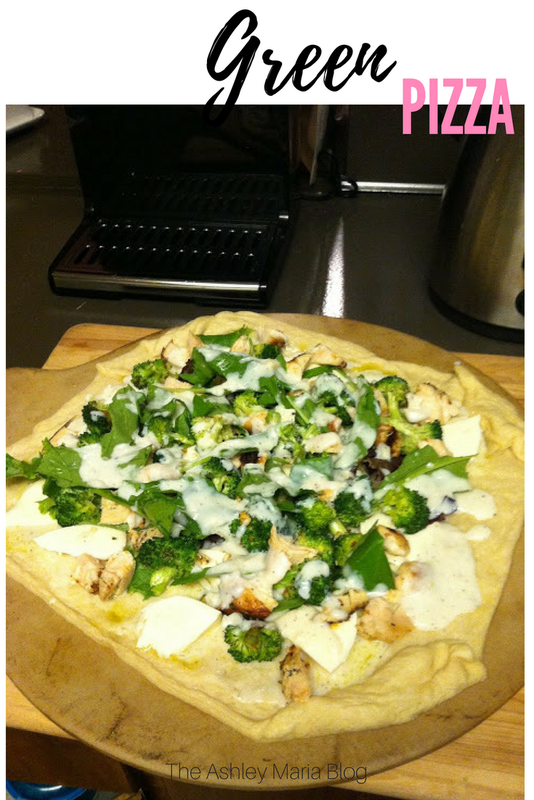 Greens on top of greens on top of greens is the best way to describe this pizza! Such a good mix of my favorites without being so blahh!! Heat butter and garlic in small sauce pan over medium heat. Once butter is melted whisk in flour, pepper and dash of nutmeg- let cook for about 1 min. Slowly stream in milk while whisking until smooth. Let cook until bubbly and thickened- about 3-4 min. Continue to whisk frequently. Whisk in Parmesan until melted & add salt to taste. Remove from heat and set aside. Brush 1 inch border of olive oil around the edge of pizza dough. Remove from oven & slice! Let me know what extras you put on it? ?